Welcome to Revisionist History, where we, unencumbered by the demands of studios and profit margins, try to imagine different and better versions of the movies that are out there. This is not a review; it is a full-spoiler exploration of what works, what doesn’t, and what might be done differently, particularly from a story/concept standpoint (i.e. unless there’s a particular tic that is distracting, it’s hard to account for a poor acting performance or other failure in execution alone other than to say, “Do better.” Which isn’t very interesting or helpful to anyone.). This week, we’re revising Tomorrowland. Jumping straight into the proposed revision, the first act (or rather the first third of the first act) would remain more-or-less the same. I’d remove the framing device and open the film with the “A Boy and His Jetpack” sequence completely without context. That segment, which was the highlight of the entire film by far, is great enough to be able to stand on its own. If presented as a short, it would steal any movie to which it was attached. Cut to present day where everything remains practically identical (Casey sneaking onto the Cape Canaveral launchpad, interacting with dad and brother, getting arrested, and so forth) until Casey leaves for her road trip. While we still see the Agents observing her, as well as Athena directing things from behind the scenes, let’s have Casey go straight from her home to Frank’s (George Clooney) house. She’s going to get to Frank eventually, prolonging the journey only keeps the movie from starting (as well as destroying one of the best reveals). During the trip, Casey can even befriend Athena (who only comes across as a strange girl) on the bus she takes from her home to Frank’s home, which would be a nice way to start building relationships between our main character (which is Casey, let’s be clear about that) and the secondary ones. And throw in a scene of Agents questioning her family – it gives us some weird Agents humor while tying the family into the story better. The Frank home sequence takes place similarly to what happens in the real movie, except this is the first time we learn that the Agents are robots. When I saw an extended preview of Tomorrowland before the release, I assumed that the robot reveal in the house would be the first time we learn that the Agents are robots, and that made the entire sequence more exciting. Giving this away during the needless Collectible Store sequence destroyed a highlight of the marketing campaign. Following the escape, Frank and Casey then must make their way to France using a bevy of gadgets and contraptions that run the stylistic gamut of the 1950s to the 2000s. While the Road Trip gimmick might be stale, it could add more depth to Frank’s character. As the existing movie stands, Frank seems more put off and annoyed that he has to return to Tomorrowland than he seems excited and nervous. Traditional road trip moments where he and Casey bond would not just give us necessary information about Tomorrowland, but could also show us how much the exile pained Frank. At other points in the road trip, Casey could show her aptitude for innovation and invention, which would actually A) give Casey something active and meaningful to do, and B) give Frank’s faith in her more credibility than a minor dip in some arcane Probability Meter. During the trip, they pick up Athena, who has perhaps stowed away. Maybe we even get a telling joke about her stowing into space so small that neither of the more adult characters bothered to check, and that even small actions can have big effects. Eventually, they get to the Eiffel Tower. While it would be easy to get straight from anywhere to Tomorrowland, it seemed obvious that the Eiffel Tower sequence was something Brad Bird (director of the Paris-set Ratatouille) wanted to do – even if the World’s Fair landmark that ends up being a rocketship was done in Men in Black. But the discussion they have with Frank fawning over some of the greatest minds of all time, plus the use of contraptions, plus the actual creation of the Eiffel Tower rocket provided the magic and wonder that most of the movie lacked. So it can stay. Finally (and hopefully much quicker than in the actual movie), they arrive at Tomorrowland – the family friendly version of Galt’s Gulch in Atlas Shrugged, a book I can reference without making judgmental comments in either direction. And this time, we actually get to see Tomorrowland. In the existing movie, we got a glimpse when Casey grabs the pin, but that could have been nothing but a promotional gimmick; Frank even recognizes the tagline from the end of the advertisement: “We’ve saved a seat for you.” When we officially arrive in Tomorrowland in the existing movie, all we really see of it was through the eyes of an imprisoned Frank and Casey and their interactions with Governor Nix (an underused Hugh Laurie) and his loyal robot army. We never get a sense of how everyone else is doing, or how everyone else views the Prodigal son returning. Moments of them interacting with citizens (or people talking behind Frank’s back) and seeing its development over the past 50 years would serve as necessary world-building material. As for our main characters (namely Casey, but to a lesser extent Frank as well), they’ve entered Oz. For Casey, it’s The Wizard of Oz, a wonderland beyond her wildest imagination. For Frank, it’s Return to Oz. Still magical, but something’s wrong and off. Things aren’t perfect, devices are breaking down, and the innovation seems to have stagnated. Still, for someone like Casey? It’s heaven. Regardless, Athena brought Frank and Casey there for a reason, so Nix “invites” them to help fix whatever it is that will bring the end to humanity. Through this, we finally learn the two most important matters left out of the real movie: A) what did Frank invent that shouldn’t have been invented and B) what is going to cause our mass destruction in 60 days? Obviously, the two should be connected, and they could all be wrapped up in The Monitor – the future seeing device used by Nix to give Michael Bay and Roland Emmerich ideas. It “shouldn’t have been invented” because what good is a place that could create the future if they’re stuck in a massive feedback loop? (The essential conceptual problem for any story that employs time jumps.) And let’s say that back on earth, it’s actually Frank’s pirated stream of tachyonic particles from Tomorrowland causing the static storms obscuring whatever catastrophe destroys us. More feedback looping! More innovation interruptions! It ties everything together logically and without the bloat that plagues so many movies these days. As they work on the Monitor (and we get more insight into Tomorrowland and Tomorrowtech), Casey begins to gravitate more towards Nix than Frank. After all, Nix is a man who presents himself as the purveyor of a hope that Frank lost years ago. He is The Wizard. Eventually, Frank realizes that Nix is sabotaging his work and is purposely trying to destroy the rest of us. When he tells this to Casey, she initially doesn’t believe him. She still sees Frank as too cynical. Plus, Frank is the man who developed something that could destroy the world – after knowing that about him, anyone would begin to look at him a bit of doubt. To further his scheme, Nix can make Casey his Number 2. It builds trust between them, cuts her off from Frank, and more easily sways her towards his side. However, the ever curious Casey ends up “peering behind the curtain” and finds Nix actively destroying Frank’s work. She apologizes to Frank and Athena, and they go to call Nix out on his scheme. Nix’s plan is the same as the movie – to show us that we’re destroying ourselves and letting it happen; our own apathy is what ends up destroying us, only this time, it’s important to the plot and themes we’ve built around the monitor, not just a throwaway motivation for a cardboard villain. 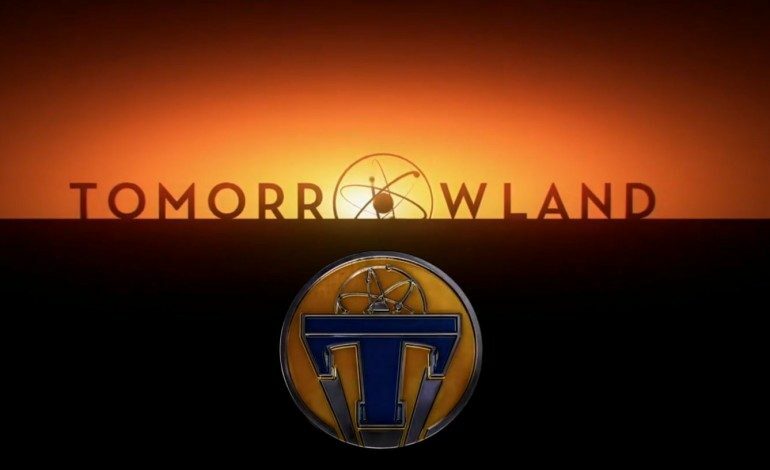 By shunning our world, Nix has cut Tomorrowland off from ideas and new blood. Without a today, there can’t be a tomorrow and thus no Tomorrowland. Eventually, it gets into the “destroy the Monitor” sequence with Nix and his team going up against Casey, Frank, and Athena. During the battle, Frank and Athena are doing most of the fighting against Nix’s robot army while Casey is doing most of the heavy lifting in shutting down the Monitor. It gives her more to do than scream while on an elevator and try to arm a bomb. At some point, Casey, realizing that a Monitor outage might cause a portion of Tomorrowland to be destroyed, puts on the jet pack and stops this from happening, even to the detriment of her own world. This allows Nix to realize not just that people of today can care about others but themselves, but that the spirit of innovation is still alive in this generation. Plus, most importantly, it calls back to the line from the beginning of the movie where Young Frank tells Nix that seeing someone in a jetpack could inspire someone else and thus change the world – hokey, definitely, but it’s the one thing the movie most needed to pay off and never did. Nix joins with Casey and Frank, but the Monitor is still too powerful. Athena decides to sacrifice herself to bring down the device, so Frank still gets to have his final moments with her, but the additional time given to Frank earlier in the movie allows him letting go to have more of an emotional punch. Presentland and Tomorrowland are both saved. Nix resigns and Frank becomes the new governor of Tomorrowland while Nix stays on as a consultant or transitional expert or something. Frank gives his speech to the robots (the audience proxy) to find and cultivate dreamers, and it ends with his loyal army of robot children walking through the portal. Obviously there are elements that were beyond this article’s scope, but with a better skeleton, a lot of the details can be worked out along the way. In a movie about creativity and innovative problem solving, the Battle Over The Monitor should have had more going on than robots, a tiny powerful bomb, and a robot becoming a powerful bomb. Athena (actress Raffey Cassidy, who stole the movie) could have a most substantial role than exposition machine and battle droid. Plus there are plenty of unanswered questions. What happened to the 12 or so other people Athena gave pins to? Do they still live there? Were they similarly exiled? Are there other robots living on Earth or just the Collectible Store owners? And why didn’t we get more gadgets? 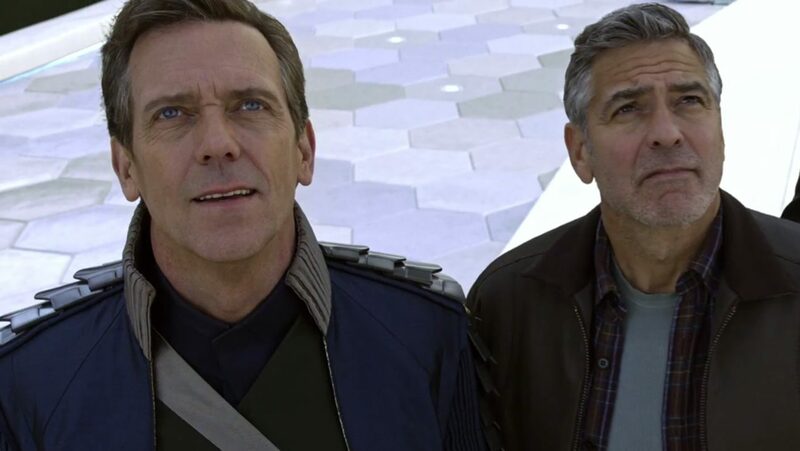 Like a lot of movies that aren’t quite “there,” Tomorrowland has enough interesting components that makes it all the more disappointing that it isn’t entirely successful. The acting is fine, the look is terrific, but the story never comes together. 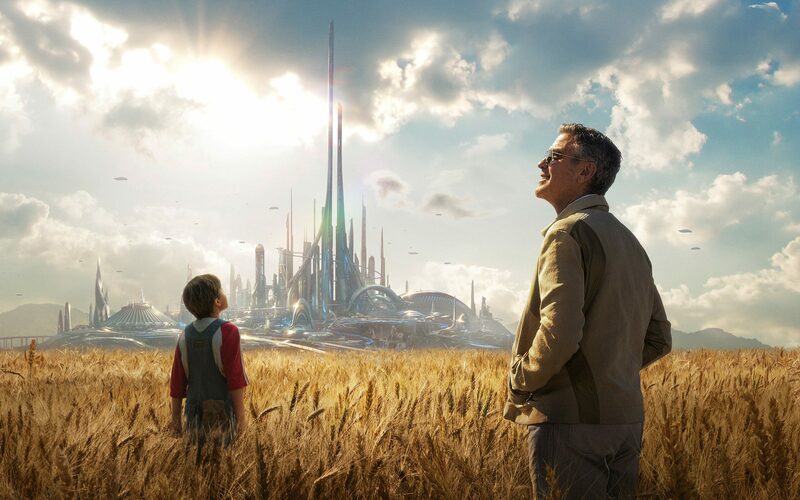 But for an effects spectacular, Tomorrowland is still something different than others of its CGI-laden ilk. A rare live-action family friendly adventure, it’s clear this film had the heart. And even the nerve to be a non-cynical, non-self aware throwback. If only it had the brain.